In the 1990s, I collected many things. One of those things happened to be old Kool-Aid. While I drank most of it back then (most regrettably my Purplesaurus Rex—wish I would have left one packet of that), some memorable flavors are still around in my collection. Today, I’m featuring my favorites. Here we have two different packets of Incrediberry—the original style and a newer, less radical style. All in all, a delicious beverage. Next up is Rock-a-Dile Red. 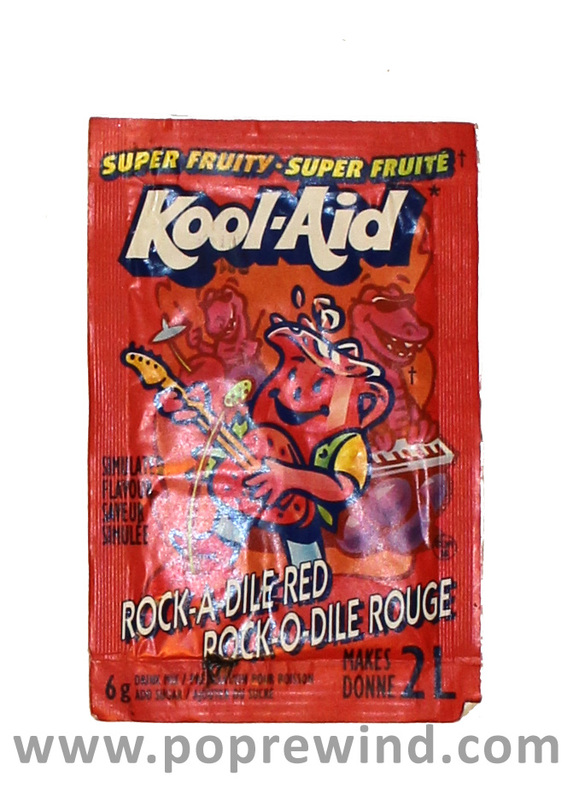 This was a newer packet, not the original, but again, you can’t go wrong with a red Kool-Aid, especially if it has a rockin’ crocodile theme to it. Lastly is my prized collection of blue Kool-Aids, including, yes—a Berry Blue Kool-Aid from the early 80s. Drink in the Kool-Aid pitcher packaging. Berry Blue, that winning combination of blueberry and lemon, was discontinued in the 1980s for looking too much like anti-freeze. It later came back in the form of an Island Twist flavor called Ice Blue, then again as a Kool-Aid Twists called Ice Blue Raspberry Lemonade. The original Berry Blue name popped up again as a Kool-Aid Twists flavor, but it didn’t taste the same. 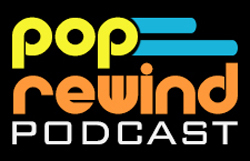 It finally came back again under the Blast-Offs moniker with Blue Moon Berry. 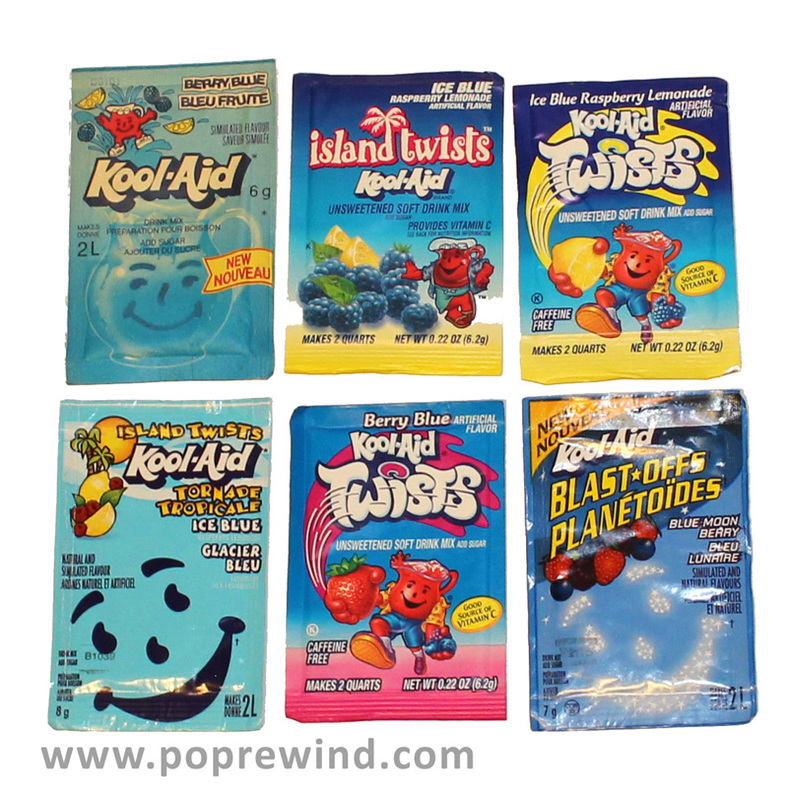 What are your favorite Kool-Aid flavors? Do you have a collection? Leave a comment below! I got really big into Squeezits in the 90s, and Kool Aid has never been the same to me after. Squeeze-its were the best! Someone needs to bring those back! 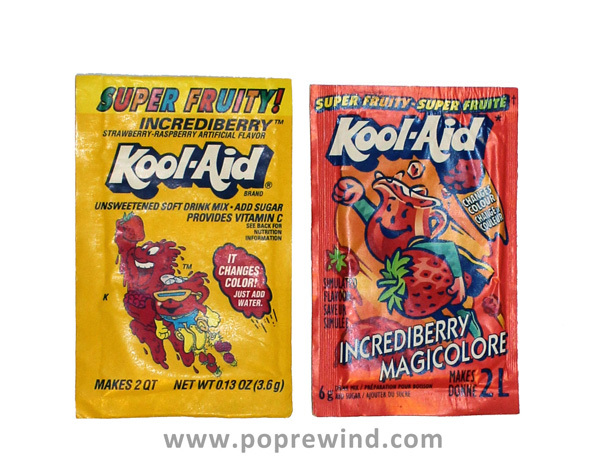 Loved Kool Aid as a kid, and it’s fun to see the changes through the years. My favorite flavor was and is still Tropical Punch, which I am glad was not discontinued, and seems to me to be the same as it was back in the day (the 80’s)…I notice now that there are liquid Kool Aid squeeze bottles (like Mio) and the Tropical Punch appears to be blue instead of the red. I hope it’s not true! Hi Linz, I am contacting you from AFAR Travel Magazine. 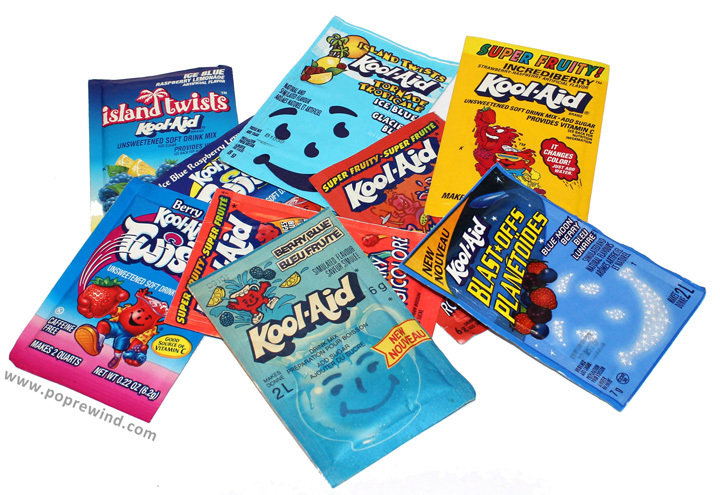 This is random, but I’m in search of a photo of the vintage blue Kool-Aid packet; would you please email me at [email protected] so I can explain further and discuss how you could help us with this? Thanks in advance!